I have never paid any attention to these little things before today. A co worker of mine had a few of these sample packs and I asked to take a look and after seeing the facts, I asked if I could have one. I did a little research and holy moly, these little suckers are a perfect companion. They are not only pure protein and fat, they aid in weightloss and reducing inflammation! So much more benefit that I can’t even list it all but I will be finding more of these soon. They make a wonderful “rice” sub in casseroles, but are a little pricey to use that way. 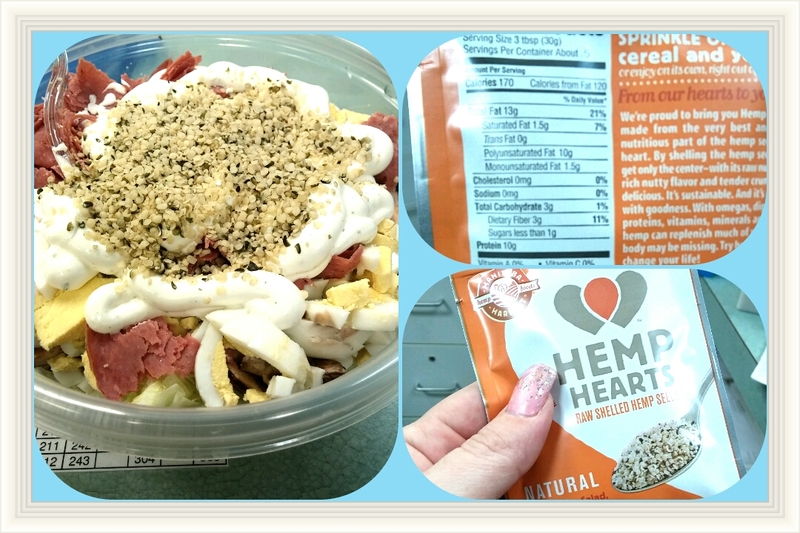 Where I’d be lost without hemp hearts is in my Tabbouleh Salad. They are GREAT in that, as they provide the nutty taste and texture of the bulger(sp) wheat.